Attorney General Jeff Sessions, as per President Trump’s Buy American, Hire American Executive Order, is cracking down on American employers who overlook Americans in favor of hiring workers with temporary visas, or who are not citizens. And he’s planning to file the first lawsuit based upon that Order aimed at Crop Production Services, Inc., based in Colorado. The company to which Sessions referred is infamous for its double standards; poor treatment of Americans looking for seasonal work and encouraging foreign workers here on H-2A visas to take the jobs with lower requirements. 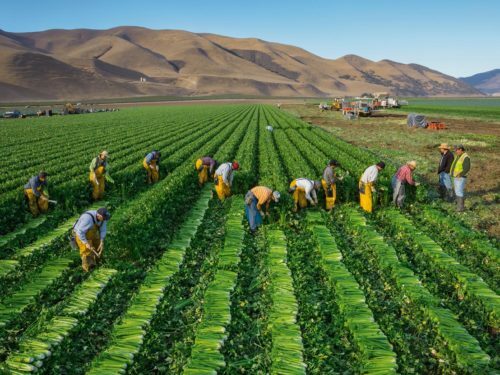 For instance, according to the Department of Justice, Crop Production mandated that American workers fulfill more difficult job requirements than foreign workers here on H-2A visas. The DOJ alleges this was done in order to try to keep Americans from taking those jobs at their Texas location. According to Sessions and the DOJ, the American workers were made to submit background checks and take drug tests, while the foreign workers were permitted to start working without having finished either of those requirements. Also, according to the DOJ, there was the instance in which the company wouldn’t hire an American with minimal English speaking ability, but then went on to hire foreign workers who spoke no English at all. In fact, in 2016, Crop Production gave all of its United States based jobs to non-US citizens who were here on temporary visas. Trump’s AG is using this lawsuit to obtain back pay for the snubbed American workers and to levy civil penalties against Crop Production. President Trump and AG Sessions believe that all available jobs should be offered first to Americans. It makes sense to award US based employment to US citizens. It does not make sense to exclude Americans in favor of foreign workers. Additionally, according to the Immigration and Nationality Act, the practice of ignoring Americans to hire non-Americans, is prohibited. President Trump has the backs of American workers. Employers beware, the days of passing up citizens and offering jobs to temporary visa holders instead, are gone. This is good news for all Americans, of every walk of life, who are seeking employment. It means no more competing with people from outside the country. And that is a welcome change!